ICD's Shenzhen onsite security team for a multimillion Chinese internet, media and entertainment company has been recognised for their outstanding cooperation and support having been awarded 'Best Partner' at the client's recent appreciation event. 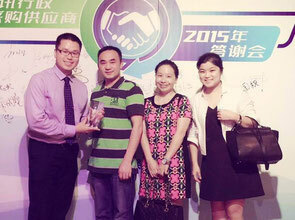 In fact, this is not the first time that ICD has received such an award from this client, winning 'Best Vendor' from the client's Guangzhou branch in 2012, and 'Best Partner' last year for the onsite services we provided at the client's Beijing site in 2013. This year's award emphasises the support we have provided via our professional services at their Shenzhen headquarters throughout 2014. 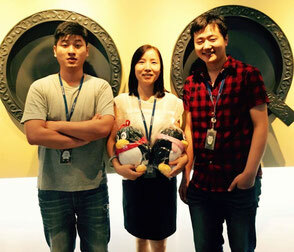 Our team of three onsite security administrators in Shenzhen help the client better manage, maintain and organize their existing security systems as well as helping establish procedures and standards to improve and upgrade their security systems into the future, not only in Shenzhen, but also across other sites in Mainland China. As well as providing services at this campus headquarters, ICD has also provides one onsite administrator at the client's Beijing site and maintenance services for their offices in Guangzhou, Xi'an and Wuhan. To read a full case study about the onsite services we provide this client with, click here.